Traditionally, CMG’s color forecasting European Conference has always had a certain uniqueness in the eyes of our membership. May it be the diversity in climate, culture, cuisine, languages, or simply Europe’s unique history, creative souls have always been intensely fascinated by the antique continent. It is this flair that establishes the atmosphere and overall climate of our European color forecasting conferences. Color Marketing Group® membership carries a strong family feeling, a feeling of coming home and being surrounded by like-minded people who share the very same passion – color. 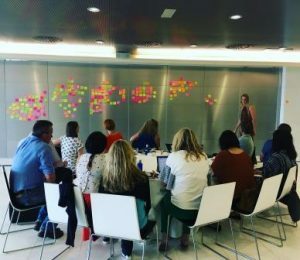 It is exactly this tribal feeling that is often expressed by attendees of the European workshops, and it continues to be a resilient motive to attend the yearly conference. May it be the diversity in climate, culture, cuisine, languages, or simply Europe’s unique history, creative souls have always been intensely fascinated by the antique continent. I remember as if it were yesterday, my very first European Conference in Berlin 2007. I had just joined Kawasaki Motors Europe N.V. as Product Planning Specialist and was researching the new color directions for the upcoming year. Completely new to the field, I felt a very special feeling of belonging, which I still feel today. The CMGEUR18 is the event that I, and many of my color friends with whom strong friendships have grown over the last years, await with anticipation. 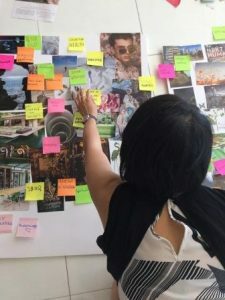 Color design professionals originating from over 10 different countries will travel this May to Porto, to sniff out new inspirations and share their thoughts on where colors will go in 2020 and beyond. 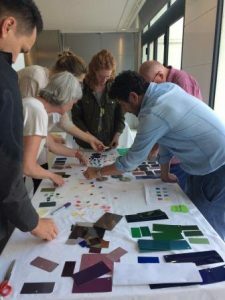 As diverse as their provenance is, from CMF designers for the automotive industry, global design directors for pigment manufacturers, interior designers for fabrics & textiles, to global trend watchers for fashion, there is a great variety among the influences and inspirations discussed at the Workshops. This diversity is reflected in the final color directions. When you look closely at the European Forecast for 2019+, you notice the balance of the color families chosen but also the different levels of saturation. Great importance was given to the blues last year during the Valencia Conference, whereas this year I’d expect to see more influence from the purples, with the blues possibly moving greener and the entry of some uplifting brights in the reddish-pink area. 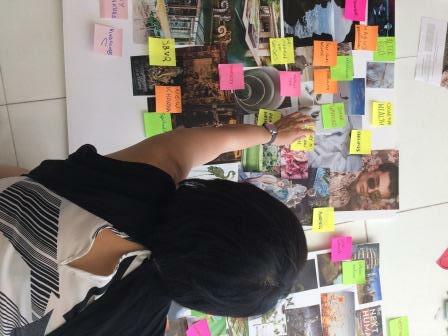 As diverse as their provenance is, from CMF designers for the automotive industry, global design directors for pigment manufacturers, interior designers for fabrics & textiles, to global trend watchers for fashion, there is a great variety among the influences and inspirations discussed at the Workshops. The conference attendance consists of almost a “hard-core” group of habitués that create the very heart of the European organization, plus an ever-growing interest of young talent, intrigued by CMG’s rising reputation in the region. Color is why we gather, nevertheless it is the solid network that makes us all return every year. One would expect that solely Europeans join the event, yet the event also attracts international attendees that find the European event something they call ‘special’. They indicate that the je ne sais quoi of these core habitués mixed with local European inspirations of its location creates deep, passionate discussions, close networking opportunities, and a unique intimacy. European trends and color directions remain of great importance to CMG’s color forecasting conferences. Influences and inspirations can come from any part of the world, yet the historical origin of design lies in Europe. Whether it’s the fashion culture in the continent’s main capitals or the interior design icons that fuel our senses, the world’s most important international exhibitions and fairs are organized in cities like Paris, London, Milan, Frankfurt, and Cologne, attracting the curious from just about anywhere. This makes Europe a cradle for trend watchers that crave the latest. Oporto Ribeira reflections on Douro River, Portugal. 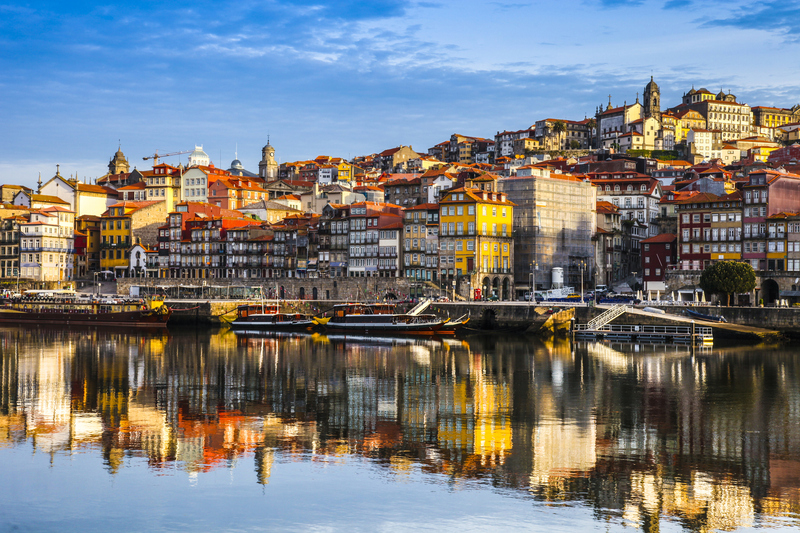 For the 2018 CMG European Conference, the second-largest city of Portugal, Porto was selected. 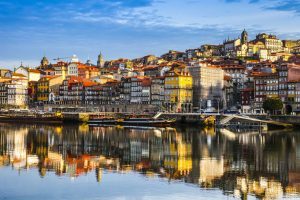 On the steep banks of the Douro, Portugal’s northern jewel gleams with culture, buzzing restaurants, bars, artisan shops, plus cool places to visit and stay. It is one of Europe’s oldest cities and is on the list of the World Heritage Site by UNESCO. The characteristic neighborhood of Ribeira was chosen as the main harbor for the Conference. This charming old town area is known for its tiny colorful streets and beautiful Portuguese-typical tiles along the river. Saudade is what I feel when I think about the CMGEUR18 color forecasting Conference. It is a feeling of longing, not to be mistaken with nostalgia, but a sentiment expressing incompleteness and indolent dreaming wistfulness. I invite you to Porto, to gather with your color tribe, to raise a glass of Port, and collaboratively define color movement for 2020+.